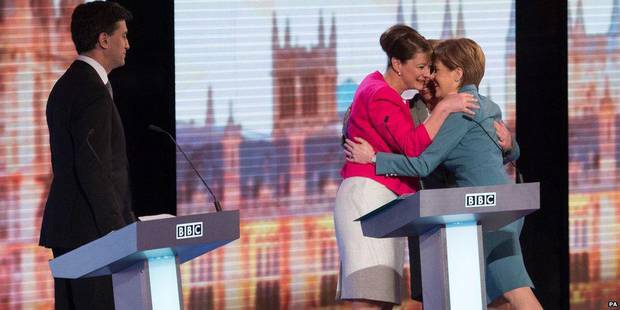 Picture of Leanne Wood, Natalie Bennett and Nicola Sturgeon that sums up not only the BBC Debate but the changing landscape of British politics if Westminster but realised it. Perhaps the chaps haven’t quite cottoned on yet. Keep up boys. Sturgeon and Wood are certainly on course for shifting the tectonic plates. We haven’t heard the last of Wood, I’m sure, even if she is representing the often discounted Plaid Cymru. Looks impressive. Go Girls! This entry was posted in Blog on April 17, 2015 by Carole Woddis.